MWC 2019 is just around the corner, and we are about to witness the next generation of smartphones at this event. The event will feature not only major flagship releases, but also releases of 5G phones that will give consumers a taste of the newest development in the consumer-facing part of the telecom industry. We know that both Samsung and LG plan to release 5G phones at MWC 2019. For LG, the upcoming phone is not the LG G8 and will be a separate 5G phone instead. This phone is expected to be the LG V50 ThinQ, which will likely feature a Qualcomm Snapdragon 855 SoC and a 4000 mAh battery. Now, notable leaker Evan Blass has posted a render of the upcoming LG V50 ThinQ, which sports 5G branding as well as Sprint’s logo. Sprint is looking to launch a 5G Samsung smartphone, so featuring another flagship device on its 5G network will ensure that Sprint consumers have a wider choice of phones while still enjoying the theoretical advantages of their 5G network. 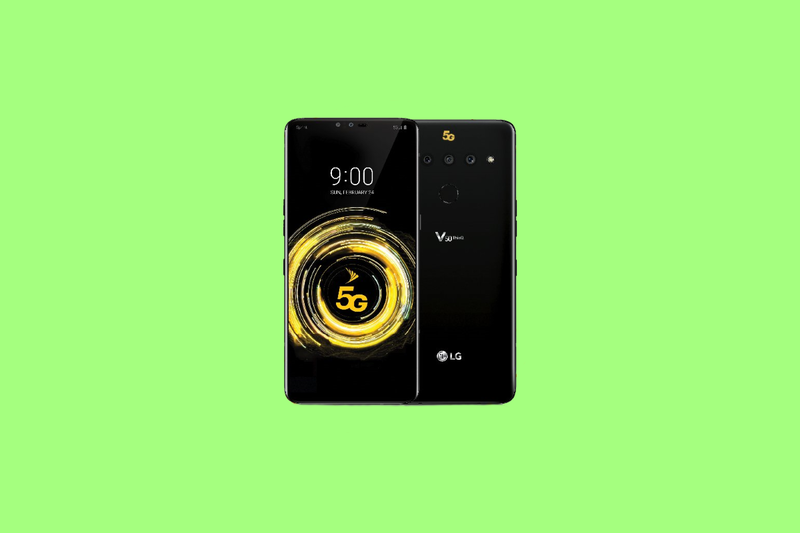 The LG V50 ThinQ will be an essential launch in LG’s portfolio of 2019 as a survey conducted by LG concluded that 74% of the respondents considered 5G service to be necessary in 2019. The LG V50 ThinQ on Sprint’s 5G network will work to appease these customers, by offering flagship performance as well as network capabilities. The V50 ThinQ will also improve upon the LG V40’s heat pipe cooling system, and instead, use a vapor chamber for enhanced cooling performance. And of course, the prominent yellow 5G symbol plastered on the back of the device will also let everyone around you know that you are on the bleeding edge of consumer technology. Stay tuned for more updates from MWC 2019!